The event will take place between November 17 and 19 in the Bolivia pavilion of Fexpocruz. The ninth version of the National Production Fair (Expomype 2017) plans to generate an economic movement that exceeds $110,000 dollars, according to its organizers. In the event, which expects the attendance of 6,500 people (admission is free), 100 exhibitors will participate. It will be held in the Bolivia pavilion of Fexpocruz between November 17 and 19. 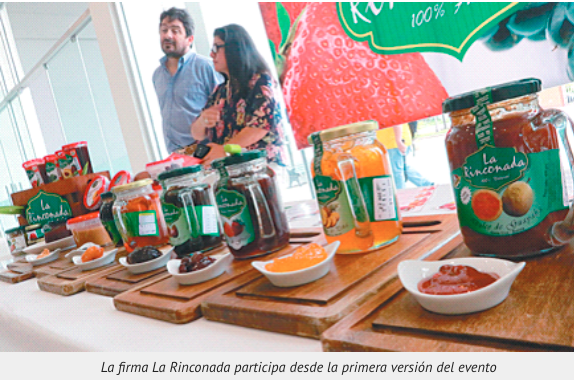 “Expomype has become the ideal place for small and medium businesspeople across the country to showcase the best of their production. We hope this year to overcome not only the intentions in economic movement, but also the number of visitors,” said VÍctor Hugo Suárez, commercial manager of Fexpocruz. The Labor Expoferia Santa Cruz, organized by the Work Enterprise Foundation (Fundación Trabajo Empresa), will take place within the framework of the event. The initiative aims to bring together in one place the actors responsible for the supply and labor demand of professionals, technicians and workers seeking employment, companies that offer jobs, training centers and support programs for education. They estimate that 800 jobs will be allocated. Bolivian Thoughts opinion: Entrepreneurs are doing their part! Now, the Government is expected to provide support, in the form of clear laws, eliminating corruption, cutting red-tape and bureaucracy! The central government must be able to stop smuggling of goods that compete with our production. The central government must be able to stop all blockades and riots that have taken place since the actual president used them to place this country hostage!